See more objects with the tag graphic design, advertising, travel posters, promotion, texture, promotional poster, photomontage, Bauhaus, faces, travel agency, gloves, overlap, mittens. This is a Poster. It was designed by Herbert Matter. We acquired it in 2006. Its medium is two-color gravure on white wove paper. It is a part of the Drawings, Prints, and Graphic Design department. 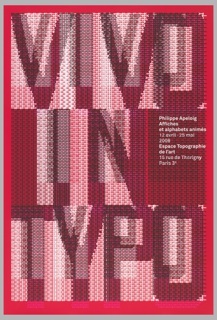 Herbert Matter was a pioneer in the application of photography in graphic design. Beginning in the 1920s, Matter was sensitive to the manipulative possibilities that the photographic medium held for graphic design. Influenced by the photomontage techniques of John and other German and Russian artists of the Dada school, Matter quickly adopted a visual vocabulary that capitalized on the juxtaposition of images, text, and isolated areas of color or tone. Matter was known for incorporating photomontage into commercial art to produce sophisticated and memorable images. This poster complements the photomontage compositions of the Spanish Civil War posters that we have in the collection. Matter studied with the artists Fernand Léger and Amédée Ozenfant at the Académie Moderne in Paris in 1927, after initially studying fine art in Geneva at the École des Beaux-Arts. While in Paris, Matter worked with the graphic designer A. M. Cassandre and the architect and designer, Le Corbusier. 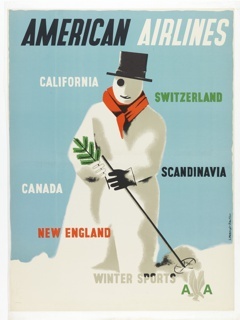 In 1932, Matter returned to Switzerland where he designed posters for the Swiss Tourist Office—the first of which reflects the influence of A. M. Cassandre. Matter came to the United States in 1936 and designed magazine covers for Harper’s Bazaar and Vogue. Matter worked as a staff photographer for Condé Nast from 1945 to 1957, and from 1946 to 1966 he was a design consultant for Knoll. 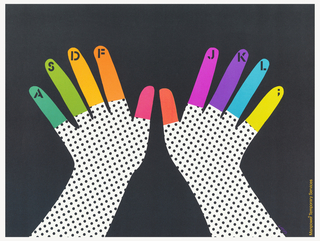 Matter taught graphic design and photography at Yale and, with his wife, Mercedes, a noted photographer in her own right, continued to explore the possibilities of photography and design. This poster is one from the series commissioned by the Swiss Tourist Office between 1935 and 1937. 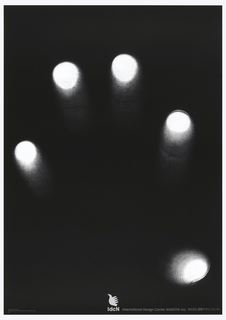 One of the strongest and most unusual of Matter’s application of photography to design, this striking image consists of an immense gloved hand that partially obscures the smiling face of a young woman. Her face is swathed in a unified brown tone that underscores the graphic flatness of the poster. Behind her to the left, a lone ski tram swings above the distant peaks of the Alps in Engelberg, Switzerland—specifically, the ski run Trübsee, identified by the sans serif letters at the upper right. The star motif emblazoned on the knitted glove is subtly echoed by the linear stars that seem to hover at the lower right, across the glove itself and, finally, just below the tram in the air at the upper left. 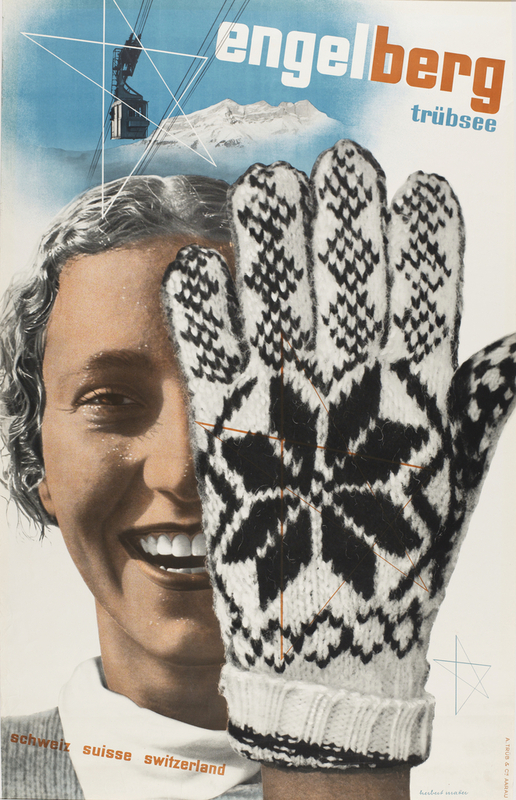 Scale is a key element in all the posters in this series, a device that Matter uses to suggest the dizzying experience of skiing in the Alps, but here it takes on a surreal quality due to the frontal juxtaposition of the girl and the glove. Her exaggerated smile is muted by the brown tones while her hair left in the black and white of the original photograph. This poster is a first edition; in subsequent reissues, her eye is rendered in a piercing blue and her lips are reddened, which considerably lessens the abstract effect. The glove is so large that the woolen hairs are visible, which gives the poster an almost visceral quality. To quote from Steven Heller’s tribute to Matter on the occasion of his being awarded the 1983 Medalist of The American Institute of Graphic Arts, “While the posters successfully communicate their immediate messages through a skillful application of photomontage, on a more lasting note, they transcend what is momentary through the integration of strong, personal expression. This expression found in all significant design is essential to Matter’s work." 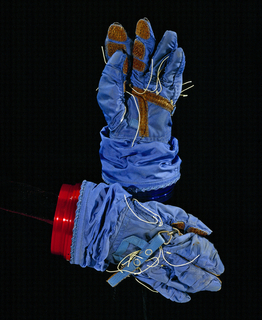 This object was featured in our Object of the Day series in a post titled How Can You Not Love That Glove?.